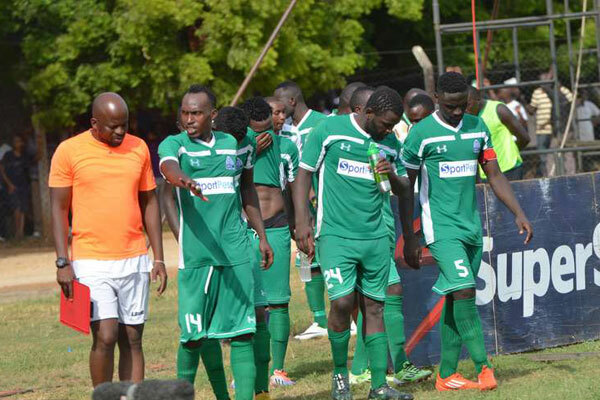 Gor Mahia coach Frank Nuttall feels that the red card that was handed to Harun shakava doomed Gor Mahia’s chances in their Super Cup encounter against Bandari on Saturday. However Nuttall defended Shakava, stating that the foul was not intentional. “Shakava’s tackle wasn’t intentional and should have passed based on the height of the two players. Sserunkuma is very short while Shakava is tall and he is a high jumper. It was unfortunate he didn’t win the ball and maybe that’s why he was sent off,” he continued. Bandari coach Twahir Muhiddin concurred. Twahir also thinks that humidity was a factor in slowing down Gor Mahia espeically in the second half. “They were playing at a very high tempo and I was sure that they could not maintain the same in the second half. Some key players like Karim (Nizigiyimana) had already burned out in the second half and we also benefitted from that” he added. KPL CEO Jack Oguda is unhappy with the behaviour of Gor Mahia players after they refused to pick up their runners up medals. “Gor is a big club that is supposed to set a good example for other players. What happened on Saturday was uncalled for and unsportsmanlike. Last year, they gladly received the winners’ medals and trophies three times, and on all the occasions, the losers picked their second place awards. They should have done the same. KPL does not encourage such behaviour,” said Oguda to the Nation. If there are disciplinary problems creeping into the playing unit then coach Nuttall will need to arrest the situation soon.